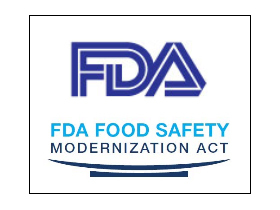 The Risk-Based Preventive Controls for Human Food final rule was published in the Federal Registry September 17, 2015. This is the first of two which may directly impact fruit and vegetable growers. To review the complete rule go to https://federalregister.gov/2015-21920. This rule updates good manufacturing practices related to processing and clarifies the farm definition and exemptions. Under the original proposed rule there were several activities on farms in our region that would have had to comply with this rule. However, with the revised definition most activities are exempt or fall under the Produce Rule which will be published at the end of October. A primary production farm is defined as “An operation under one management in one general (but not necessarily contiguous) physical location devoted to the growing of crops, the harvesting of crops, the raising of animals (including seafood), or any combination of these activities.” This includes harvesting, packing and holding as well as some processing/manufacturing as long as it does not change the raw agricultural product into a processed food. Some examples include: drying/dehydrating raw agricultural products, treatments to ripen a raw commodity (i.e. ethylene gas) and packing and labeling raw agricultural products as long as there is no additional manufacturing. A farm can pack and hold raw agricultural commodities even if not grown on that farm. A secondary activities farm is defined as “An operation, not located on a primary production farm, devoted to harvesting (such as hulling or shelling), packing, and/or holding of raw agricultural commodities (RACs). However, this definition only applies if the primary production farm(s) that grows, harvests, and/or raises the majority of the raw agricultural commodities harvested, packed, and/or held by the secondary activities farm owns, or jointly owns, a majority interest in the secondary activities farm.” To be considered a secondary activities farm the primary production farm(s) must own the majority of the secondary farm and provide the majority of the product to the secondary farm. This can apply to a cooperative where the primary farms own the cooperative and supply the majority of the product to the cooperative. Retail food establishments are also exempt from registering with FDA and the Preventive Control Rule does not apply. The definition of a retail food establishment is “An establishment that sells food products directly to consumers as its primary function. The retail food establishment may manufacture/process, pack, or hold food if the establishment’s primary function is to sell food from that establishment, including food that it manufactures/processes, packs, or holds, directly to consumers. A retail food establishment’s primary function is to sell food directly to consumers if the annual monetary value of sales of food products directly to consumers exceeds the annual monetary value of sales of food products to all other buyers. Consumers are not businesses under this definition. Retail establishments include community-supported agriculture (CSAs), roadside stands, farmers markets, tailgate markets, grocery stores, convenience stores and vending machine locations. There are many details to the Preventive Control rule, but the bottom line is most farms in our region will not need to comply with this rule. If you process or manufacture fresh fruits and vegetables on a larger scale then you may need to comply. The threshold for an additional exemption is 500 employees and less than $1,000,000 in sales.